As the number of WooCommerce websites continues to grow, more and more people are using it for large product directories. A WooCommerce directory plugin lists products on a much bigger scale than typical online stores. Products are listed in a logical structure with extra data to help customers find what they’re looking for. In this article, I’ll explain the main features needed in a WooCommerce directory plugin. I’ll then provide full instructions on how to use WooCommerce Product Table to create an online store directory. Your WooCommerce directory will include all the features you need to display large numbers of products. 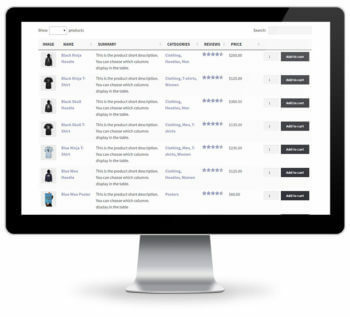 This includes searching, sorting and filtering to help customers find your products more easily. I’ll show you how to display different types of product data including all the standard WooCommerce data, plus custom fields and taxonomies. Customers will be able to click from the directory listings to the single product page and/or buy straight from the table. Create a complete WooCommerce directory with the WooCommerce Product Table plugin. What makes a good WooCommerce directory plugin? There are several things that make WooCommerce directory sites different from other types of e-commerce store. Directories need some extra features to list products in a suitable layout, often with extra information. Table-based product layout. WooCommerce product directories list many products per page in a less visual way than traditional online stores. Extra product data. Directory databases list various product information. Most WooCommerce stores just list basic data such as name, image and price. A WooCommerce directory can display far more product data. This can include descriptions, embedded audio/video, custom fields, product attributes and variations, prices, reviews, stock and more. You can even include extra options created with the official WooCommerce Product Add-Ons plugin. Easy to search & filter. With a WooCommerce directory plugin, customers aren’t forced to scroll through many pages of products to find what they need. Instead, should be able to use advanced search, sort and filter options to find products matching their criteria. One-page ordering. A lot of product directories function as a one-page WooCommerce order form. This means that customers can view all the directory listings and add products to the cart from a single page. Some WooCommerce directories will disable the add to cart buttons and let customers click to the single product page in order to view more information and purchase. However, one-page ordering is an important feature for many directory sites. Ability to handle large numbers of products. A directory-based e-commerce store may have 100’s or even many 1,000’s of products. A WooCommerce directory plugin needs to be able to handle large amounts of information without server crashes or performance issues. See information quickly without multiple page loads. Many online directories are frustrating to use because you have to visit a separate page for each product. It’s better to be able to view extra information in a quick view lightbox, without being taken away from the directory listings. You can do this by using WooCommerce Product Table with its sister plugin, WooCommerce Quick View Pro. Create a WooCommerce product directory for your store today! What sort of websites need a directory structure? Many WordPress websites sell large numbers of books. A good directory plugin can be used as a WooCommerce bookstore plugin. Books for sale can be listed in a table with relevant data such as title, author, publisher, date, price and add to cart buttons. It’s even possible to display a small image of the front cover in the book directory listings. You can sell both printed books and digital e-books in WooCommerce. By adding each book to the directory as a variable product, each version can be sold at a different price. Customers can choose from the directory results page and buy one or more books. 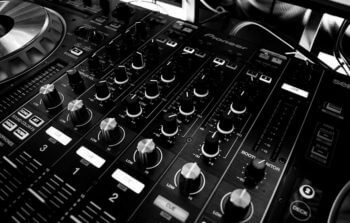 If your WooCommerce directory plugin supports embedded audio players then you can use it as a music or audio directory. Lots of audio stores display 100’s or 1,000’s of CD’s or audio products. Since large images aren’t relevant to selling music online, the best layout is a table-based directory view. Many more products can be displayed per page. 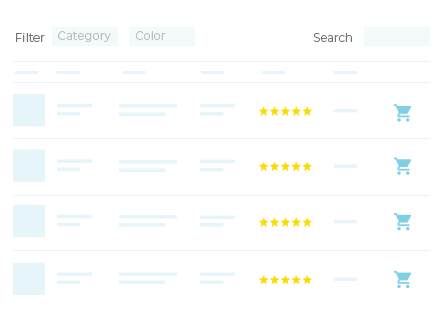 Customers can use the keyword search, sort options and product filters to quickly find the music products they’re looking for. The best WooCommerce directory plugins support embedded audio players. This is a good opportunity to sell more music by including audio samples, embedded directly into the music directory. You can include sample tracks alongside other information about each product such as CD name, track name, artist, length and more. If you sell physical CD’s and downloadable versions of your audio products then you can add each one as a variation. The variation options can be listed a dropdown on the directory page, or customers can click to the single product page to view the options and buy online. Like all WordPress sites, WooCommerce is hugely popular as a business directory. This is less common than a more generic business directory in WordPress because not all business directories need to sell online. However, this is an option with a WooCommerce directory – for example, if you need to sell products for each business via the directory. Directory structures are excellent for selling data-base products such as phone numbers. For example, Numbergroup uses WooCommerce Product Table to create a telephone number directory. Customers can browse the phone numbers and buy using WooCommerce. You can search the directory for a specific number, change the number of products per page, and sort by telephone number or price. Once you’ve found the number you want, you can add it to the shopping cart and buy through the usual WooCommerce checkout. The WooCommerce Product Table plugin is perfect for creating any type of directory like this. Check out our demo of a WooCommerce book directory in action! How to create a WooCommerce directory to sell absolutely anything! As you can see, there are lots of reasons to use a WooCommerce directory plugin. Next, I’ll show you how to use WooCommerce Product Table to create a directory selling books, music or other types of product. The first step is to plan your WooCommerce directory. It’s worth doing this beforehand to make sure it’s logical and intuitive to navigate. Will you have a central directory page listing all the products? Would you be better off with multiple pages, each listing different products based on their category, tag or custom taxonomy term? Will each page of directory listings contain a single table of products? Or will you add multiple tables to each page, listing different products? Is your server powerful enough to support the number of products per page in the directory? Later, I’ll tell you about the lazy load plugin option which boosts performance for large WooCommerce directories. However, if you want to list 100’s of products on a single page without pagination, performance could be an issue and you’ll need a fast server. Install the free WooCommerce plugin and run the Setup Wizard. Use the plugin documentation to configure store settings such as tax and postage. Add all your products to the directory in WooCommerce. You can do this manually via Products > Add New. Or if you have a large product directory, use a WooCommerce listing plugin such as Product CSV Import Suite to import products from CSV to WooCommerce. Go to WooCommerce > Settings > Products > Product Table. Enter the license key that you received in your confirmation email and click Save. On this page, you can also choose any default settings that will apply to all your product tables. Go to any page or post and add the shortcode: [product_table]. This will create a basic directory listing your WooCommerce products in a table-based grid layout. Use the product table knowledge base to customise your directory. It’s hugely flexible and there are many different personalisation options. Here’s a summary of the main options you’re likely to use to perfect your WooCommerce store directory. WooCommerce Product Table supports all the standard product data such as name, short and long description, price, dimensions, stock, reviews, and attributes. 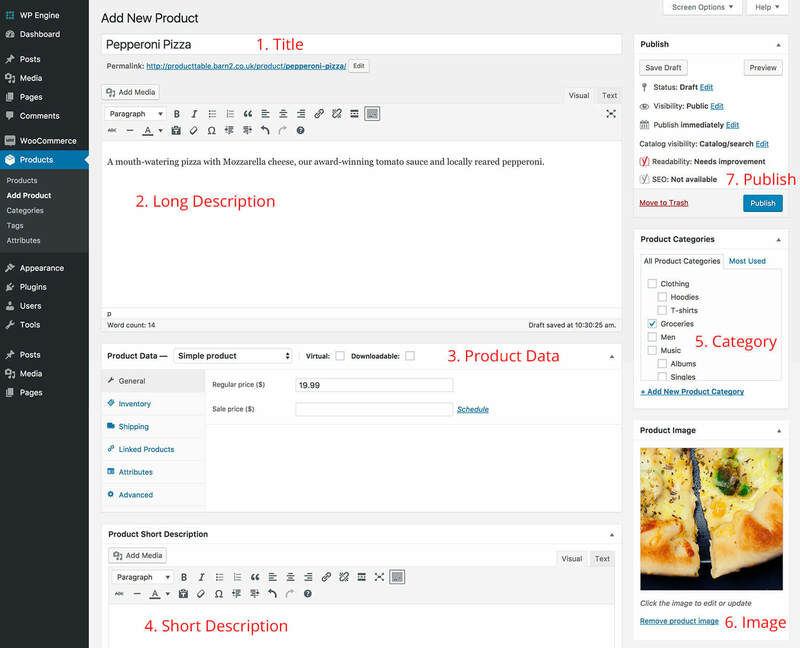 It also supports custom data via WooCommerce custom fields and taxonomies. You have full control over which columns appear in the directory. It’s also possible to rename or remove the column headings. Transform the store directory into a one-page WooCommerce order form by letting customers order straight from the directory page. You can do this by including an ‘Add to Cart’ column in the table. Choose between 3 styles of add to cart buttons, including standard boxes and multi-select check boxes. It’s also possible to display variable products and a quantity selector directly in the table. Customers can select variations, choose quantities and add multiple products to the cart without having to visit the single product page. You can even disable links to the single product page. And if you’re using the WooCommerce Product Add-Ons plugin, then you can also display your add-on options in the product directory. You can choose how customers can interact with the WooCommerce directory to find products quickly and easily. There are options to show, hide or reposition various elements such as the keyword search box. Customers can click on a column heading to sort by that column. You can also add product filters so that customers can narrow down the directory listings by category, tag, price, custom taxonomy, etc. As your WooCommerce directory grows, the plugin needs to grow with it. Fortunately, WooCommerce Product Table has a lazy load option to boost performance as your store grows. By default, all the product listings in your directory load straight away. This is fine for small directories but can cause a performance hit if you have many products. With lazy load, only 1 page of the directory is loaded at a time. This means that you can have an unlimited number of products in the directory. Even if you have many thousands of WooCommerce products, lazy load keeps everything running smoothly without slowing down your site. There are further options to boost performance, such as setting a limit for the number of products in the directory. You can also change the number of products shown on each page of the directory. 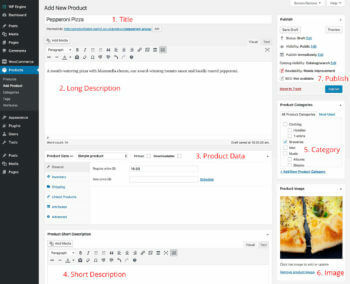 WooCommerce Product Table supports embedded audio and video. If you’re creating a music or video directory then customers can watch or listen straight from the directory listings page. This is ideal if you use audio or video snippets to convince people to buy your products. Most WooCommerce directories list all their products in a single directory, with easy search options such as the keyword search and filter. If you prefer, you can add multiple directories to your WooCommerce store. For example, you might want to create a different directory table for each product category. The plugin supports adding as many directories as you like. For each one, you can choose which products are included (or excluded) based on category, tag, ID, custom taxonomy term, custom field, date, etc. You can also use a directory planning to create A-Z listings. Simply use the tabs that come with your theme or a plugin such as Shortcodes Ultimate to create a tabbed layout with a tab for each letter. Add a separate product table to each tab containing a directory of products for that letter. 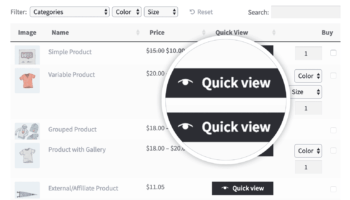 Add quick view buttons to your WooCommerce directory. 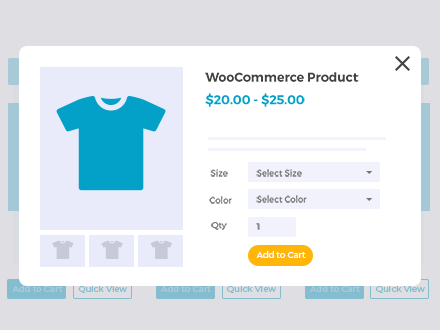 If you use WooCommerce Product Table on its own, then customers can click through to the single product page to view more information about each product. That’s fine if you only expect each customer to buy one product. But most WooCommerce directory websites want to increase the value of each sale. And that requires buying more than one product. That’s why you can significantly increase revenue by adding the WooCommerce Quick View Pro plugin. This lets you add a ‘quick view’ column to the WooCommerce directory (which you can rename to anything you like). Customers use this button to view more information about each directory product in a handy lightbox popup. You can choose what information to show in the lightbox. This might be more product images, variation and add to cart options, the short description, meta information such as categories and tags, or something else. This is a perfect way for customers to learn more about each products without being taken away from the main WooCommerce directory listings. That way, there’s no chance they’ll get lost. They remain on the list of products at all times. As a result, they spend longer browsing the products in the directory, and are likely to buy more and more. 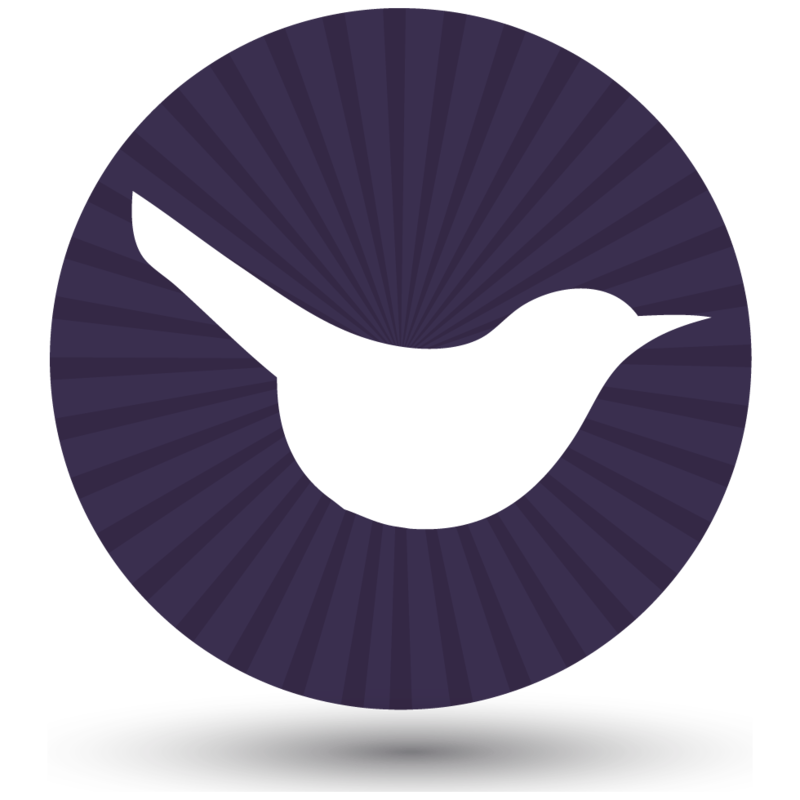 The easy way to add quick view to your WooCommerce directory. Test everything thoroughly to ensure your WooCommerce directory is running smoothly. You need to be certain that customers can order from you from different browsers, mobile devices etc. Follow our go-live checklist to make sure the launch goes smoothly. Plan and implement a marketing strategy to make sure people can find your website and buy from you. Our WordPress SEO packages can help you with this. Continue improving your WooCommerce directory with our top 10 tips on using product tables to optimise conversion rates. It’s time to build your WooCommerce directory! I hope this tutorial has provided everything you need to create a fully functioning store directory using WooCommerce Product Table. The plugin comes with full support from our UK WordPress experts at Barn2 Media. Get in touch if you have any questions about how it works that aren’t covered in the knowledge base, or if you need any advice on setting it up to create the perfect directory. Or if you like the plugin, sign up as an affiliate and we’ll pay you 30% commission for reselling it! I’d love to know which method you use for your own product directory. What do you sell in your WooCommerce directory? Please leave your comments below. Hi Mehul, sorry I'm not sure what you mean. What sort of directory website would you like to see an example of? You can see examples of lots of websites using WooCommerce Product Table in our showcase. Hi Katie, i am also in this type of setup, i.e. an antics automotive memorabilia directory that allows me to upload my vintage Aston Martin wheels but also allows me to put them on sale. Thanks for sharing! That sounds like an excellent use case for what we're discussing in this tutorial. Automatic memorabilia and wheels are a good example of less visual products where you need a searchable table layout to list more products per page, without the big images that you normally get with WooCommerce product listings. Images are important and you will benefit from including a small thumbnail in the table which people can click on to view the wheel close-up, but it's equally important to be able to include columns of other information such as age, condition, specification, etc.